These pet stories were our favorite in 2017! 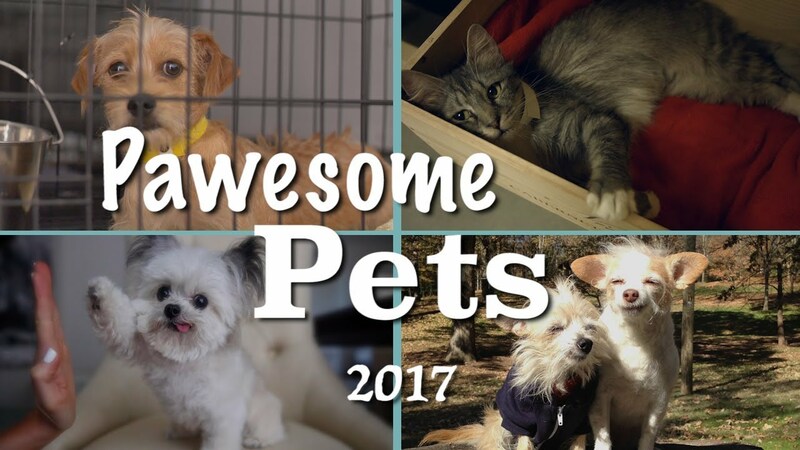 In case you missed them, here are 4 PAWesome Pet Stories! Tracy's Dogs is a not-for-profit National Rescue & Transport Initiative for shelter dogs. The focus of the program is to rescue and rehabilitate dogs with pending euthanasia dates residing in kill shelters with the hope of putting them up for adoption to find forever homes! Sandra Cagan was a businesswoman in Orlando approaching her 50th birthday when she decided to combine her love of cats and her work experience to start a new venture, the Orlando Cat Café. As a lifelong cat fan, Sandra's main goal in opening the café was to help match kitties up for adoption with pet parents looking for a new friend. What she didn't realize at the time was that her coffee shop would help human visitors as much as the cats! At just 3 pounds, this therapy dog may be small, but he's on a big mission! His goal? To spread hope, smiles, and comfort to everyone he meets. Today, Norbert does lots of work at the Children's Hospital of Los Angeles as a Pet Partner approved volunteer therapy dog. He also visits nursing homes, charity events, and beyond: anywhere where there are people in need of a smile. To see more good news, follow us on Facebook and sign up for our Only Good News Newsletter.